We believe that spiritual formation happens best in the context of authentic relationships where people know God, find freedom, discover purpose, and make a difference together. 1. An opportunity to connect at a meaningful level with others from Remnant Church who are passionately pursuing a life of biblical obedience that demonstrates that they know God. 2. An opportunity to grow in the grace of Christ and walk in the freedom that only a relationship with Christ and His church can bring. 3. An opportunity to discover your unique purpose in the body of Christ. 4. An opportunity to make a difference with your gifts and callings by making a difference in the world as you reach in to serve the church and reach out to serve the world. Our LifeGroups meet 3 times a month in places all around our city and provide a place for you to connect with people who are passionate to know God, find freedom, discover their purpose, and make a difference. Regardless of your age, interest, or location, we are confident we have a group for you! 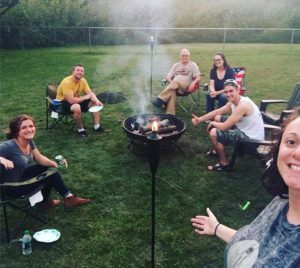 LifeGroups provide a setting where we can more readily get to know others, where we care for one another, and serve one another and our community while making a difference! Fill out the form below and your information request will be submitted to the LifeGroup Pastoral Staff of Remnant Church.